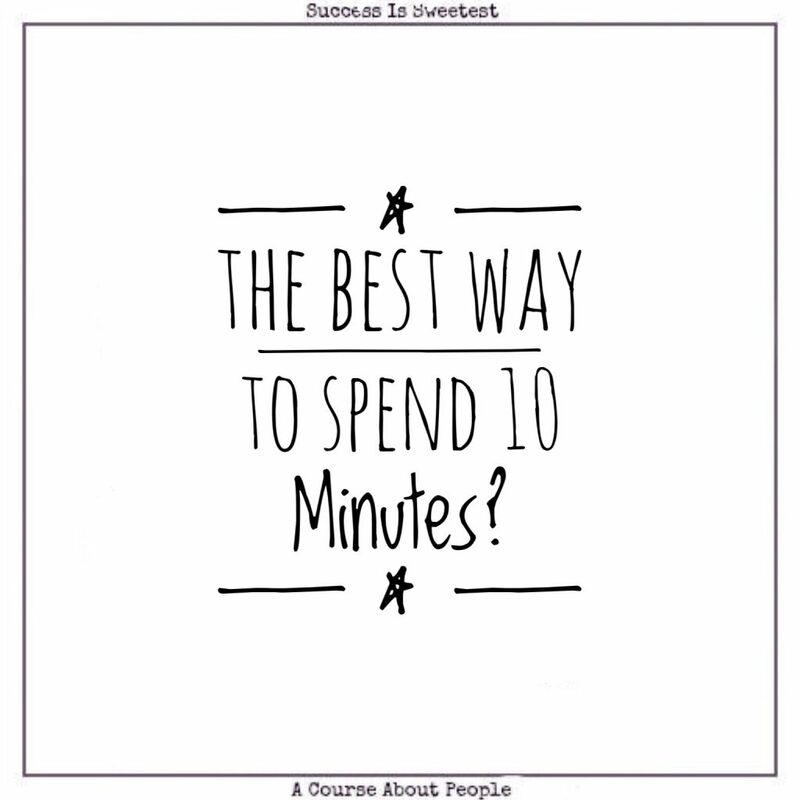 Got 10 Minutes? Try this! 1. Meditate :: It changes your brain (in a good way.) It spikes your happiness. It boosts your immune system. It makes you smarter and more compassionate. And it ups your productivity. 2. Make your bed :: Getting into a well-made bed feels really good. And it’s one habit that can lead to other really good habits. 3. Pack a lunch :: Packing wins every time. Money saved and you know exactly what you’re getting. 4. Develop an idea :: Just shaping an idea can improve your ability to grasp opportunities and see the potential in something unusual. Set a timer for 10 minutes. Mess around. Obsess with unusual details. Let your brain navigate this wild new world. 5. Read :: Reading a couple pages from a good book will get the creative juices flowing, the brain learning, and your knowledge base growing. 6. Feel the burn :: Ten minute workouts here, here, and here. 7. Send a hand written note to a friend :: They feel good. You feel good. And it sparks creativity. 8. Power up:: String several 10 minute projects or activites together and call it a beautiful day. Try it. For the next 7 days paint, take a picture, write, learn a few new words, anything can easily be broken down into short doable chunks. Yep, in just ten minutes you workout, you save money, you get smarter, you feel confident, and you really, really enjoy your hobbies. This is how we roll. This entry was posted in Essential Dish, Uncategorized and tagged 10 minutes, Creativity, daily habits, good routines, mindfulness meditation, productivity tips, read. Bookmark the permalink.